A group out of Cleveland is helping hospice patients relive memories by "visiting" places they'll never see again. Since more of the patients can't travel to the areas they love, drones are taking them there. Find out more about this incredible group in this AirVūz New story. Description: A new Cleveland-based company is showing those in hospice care some of their beloved places that they otherwise wouldn’t be able to see again. They are doing this with the help of a drone. Tom Davis started Aerial Anthropology as a side-business for real-estate and construction projects. However, the company has begun to seek out a different focus in their Patient Outreach Program. The program allows hospice patients to be taken on flying tours of their favorite places with the help of a drone. “The way the experience works, is the patients are going to have a very health care-ish cart with a big flatscreen on it connected to the internet. We’re gonna have it on a cart and wheel it into the room. We setup the live feed, they’re going to be able to watch it from there, and then they wheel out the cart. So it’s non-invasive, it’s just the family in the room, experiencing this on the big screen with the lights off,” Davis said. The experience that they provide to patients is unlike any other. With drones they are able to transport patients to the places they love: their childhood home, lifetime-church, or favorite vacation spot. They are essentially taking people out of their room and flying them around the places that are meaningful to them. Tom recalls one of the the first flights they did with a man who was floored by the experience; “He was remembering these things and the family trips and the daughter said he was smiling the whole time and could not believe he was recalling some of these things. He had slight dementia and alzheimer's but was pointing things out to them, holding hands, smiling...it was unreal.” Aerial Anthropology is working alongside Hospice of the Western Reserve to place themselves in certain hospice centers. Tom is also working to bring this project to a national level. He has drone pilots at the ready in Ohio, New York, Massachusetts, Oklahoma, and even Hawaii. He looks to expand their network of pilots so that the patient outreach program can be available across the country. Beyond that, he hopes to expand the program to others who can’t get outside. “We’re not only going to do hospice, we’ll do pediatric care...even if it’s someone who’s getting treatment for something but they can’t get out and it’s the fall or summer time, we can do something like that,” Davis said. The Patient Outreach Program has no cost to the hospice center and hopes to rely on corporate sponsorship for equipment costs. Tom plans to set up a donate page on their website where friends and family can donate an experience to someone that they know is sick. “The program can help and benefit so many people. Everybody has a personal story where they know someone who is sick. So, we’re encouraging people to get involved, check out the site, get in touch with us, and see what you can do.” To learn more about the Patient Outreach Program and how you can help out, visit aerialanthropology.com. 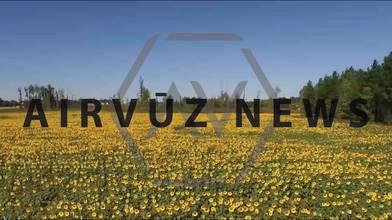 Follow AirVuz News for the latest updates in the drone community.